Clustering of a large number of data points is a computational demanding task that often needs the be accelerated in order to be useful in practice. The focus of this work is on the Density-Based Spatial Clustering of Applications with Noise (DBSCAN) algorithm, which is one of the state-of-the-art clustering algorithms, targeting its acceleration using an FPGA device. 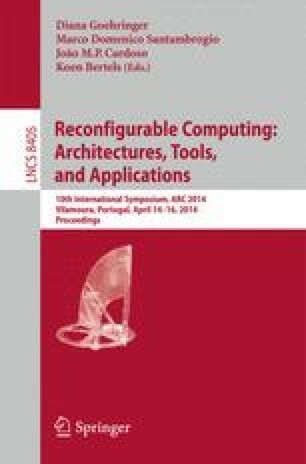 The paper presents a novel, optimised and scalable architecture that takes advantage of the internal memory structure of modern FPGAs in order to deliver a high performance clustering system. Results show that the developed system can obtain average speed-ups of 32x in real-world tests and 202x in synthetic tests when compared to state-of-the-art software counterparts.